Take charge of the space program for an alien race known as Kerbals in this unique space-flight simulator and, using a vast array of interchangeable parts, assemble a fully-functional spacecraft based on real aerodynamics. Launch your Kerbal crew into orbit and beyond (while keeping them alive) to explore moons and planets in the Kerbal solar system, constructing bases and space stations to expand the reach of your expedition. Kerbal Space Program - Enhanced Edition is optimised for console players, featuring a completely reworked user interface and new controls. Science Mode allows you to perform wild space experiments to unlock new technology and advance the knowledge of Kerbalkind. Career Mode entrusts you with overseeing every aspect of the Kerbal’s space program, including construction, strategy, funding, upgrades, and much more. Sandbox Mode parts you from all logistical worries, leaving you free to build any spacecraft you can dream of, with full access to all parts and technology in the game. Build rockets, spaceships and vehicles using a massive collection of parts. Construct space stations, massive starships, and surface bases on new planets. Send your Kerbal crewmembers into space to become heroes. Discover a whole star system with unique moons and planets. Research and develop new technologies, and a whole lot more. 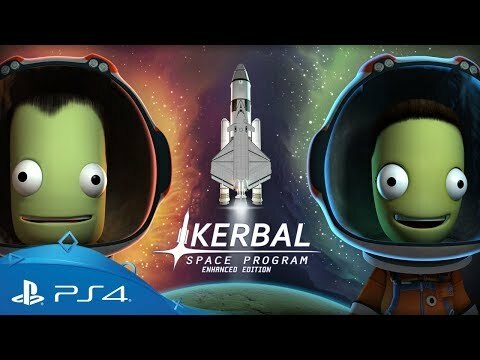 Buy Kerbal Space Program on PS4.